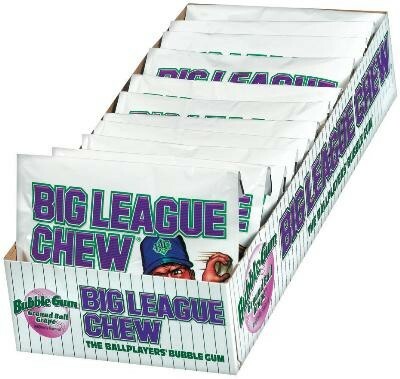 Big League Chew (Grape) from Ford Gum delicious grape flavored bubble gum shredded in a pouch, just like they use in the majors! Pretend you're a favorite baseball player with this fun bubble gum. 12 individual pouches in each display box.